Today the Church listens again to these words of Jesus, spoken by the Lord during his journey to Jerusalem, where he was to accomplish the mystery of his passion, death and resurrection. They are words which enshrine the meaning of Christ’s mission on earth, marked by his sacrifice, by his total self-giving. On this third Sunday of October, on which we celebrate World Mission Sunday, the Church listens to them with special attention and renews her conviction that she should always be fully dedicated to serve mankind and the Gospel, after the example of the One who gave himself up even to the sacrifice of his life. I extend warm greetings to all of you who fill Saint Peter’s Square, especially the official delegations and the pilgrims who have come to celebrate the seven new saints. I greet with affection the Cardinals and Bishops who, during these days, are taking part in the Synodal Assembly on the New Evangelization. The coincidence between this ecclesiastical meeting and World Mission Sunday is a happy one; and the word of God that we have listened to sheds light on both subjects. It shows how to be evangelizers, called to bear witness and to proclaim the Christian message, configuring ourselves to Christ and following his same way of life. This is true both for the mission ad Gentes and for the new evangelization in places with ancient Christian roots. Jacques Berthieu, born in 1838 in France, was passionate about Jesus Christ at an early age. During his parish ministry, he had the burning desire to save souls. Becoming a Jesuit, he wished to journey through the world for the glory of God. A tireless pastor on the island of Sainte Marie, then in Madagascar, he struggled against injustice while bringing succour to the poor and sick. The Malagasies thought of him as a priest come down from heaven, saying, You are our “father and mother!” He made himself all things to all men, drawing from prayer and his love of the sacred heart of Jesus the human and priestly force to face martyrdom in 1896. He died, saying “I prefer to die rather than renounce my faith”. Dear friends, may the life of this evangelizer be an encouragement and a model for priests that, like him, they will be men of God! May his example aid the many Christians of today persecuted for their faith! In this Year of Faith, may his intercession bring forth many fruits for Madagascar and the African Continent! May God bless the Malagasy people! Pedro Calungsod was born around the year 1654, in the Visayas region of the Philippines. His love for Christ inspired him to train as a catechist with the Jesuit missionaries there. In 1668, along with other young catechists, he accompanied Father Diego Luís de San Vitores to the Marianas Islands in order to evangelize the Chamorro people. Life there was hard and the missionaries also faced persecution arising from envy and slander. Pedro, however, displayed deep faith and charity and continued to catechize his many converts, giving witness to Christ by a life of purity and dedication to the Gospel. Uppermost was his desire to win souls for Christ, and this made him resolute in accepting martyrdom. He died on the April 2nd 1672. Witnesses record that Pedro could have fled for safety but chose to stay at Father Diego’s side. The priest was able to give Pedro absolution before he himself was killed. May the example and courageous witness of Pedro Calungsod inspire the dear people of the Philippines to announce the Kingdom bravely and to win souls for God! 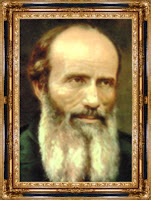 Giovanni Battista Piamarta, priest of the Diocese of Brescia, was a great apostle of charity and of young people. He raised awareness of the need for a cultural and social presence of Catholicism in the modern world, and so he dedicated himself to the Christian, moral and professional growth of the younger generations with an enlightened input of humanity and goodness. Animated by unshakable faith in divine providence and by a profound spirit of sacrifice, he faced difficulties and fatigue to breathe life into various apostolic works, including the Artigianelli Institute, Queriniana Publishers, the Congregation of the Holy Family of Nazareth for men, and for women the Congregation of the Humble Sister Servants of the Lord. The secret of his intense and busy life is found in the long hours he gave to prayer. When he was overburdened with work, he increased the length of his encounter, heart to heart, with the Lord. He preferred to pause before the Blessed Sacrament, meditating upon the passion, death and resurrection of Christ, to gain spiritual fortitude and return to gaining people’s hearts, especially the young, to bring them back to the sources of life with fresh pastoral initiatives. “May your love be upon us, O Lord, as we place all our hope in you” (Ps 32:22). With these words, the liturgy invites us to make our own this hymn to God, creator and provider, accepting his plan into our lives. María Carmelo Sallés y Barangueras, a religious born in Vic in Spain in 1848, did just so. Filled with hope in spite of many trials, she, on seeing the progress of the Congregation of the Conceptionist Missionary Sisters of Teaching, which she founded in 1892, was able to sing with the Mother of God, “His mercy is on those who fear him from generation to generation” (Lk 1:50). Her educational work, entrusted to the Immaculate Virgin Mary, continues to bear abundant fruit among young people through the generous dedication of her daughters who, like her, entrust themselves to God for whom all is possible. I now turn to Marianne Cope, born in 1838 in Heppenheim, Germany. Only one year old when taken to the United States, in 1862 she entered the Third Order Regular of Saint Francis at Syracuse, New York. Later, as Superior General of her congregation, Mother Marianne willingly embraced a call to care for the lepers of Hawaii after many others had refused. She personally went, with six of her fellow sisters, to manage a hospital on Oahu, later founding Malulani Hospital on Maui and opening a home for girls whose parents were lepers. Five years after that she accepted the invitation to open a home for women and girls on the island of Molokai itself, bravely going there herself and effectively ending her contact with the outside world. There she looked after Father Damien, already famous for his heroic work among the lepers, nursed him as he died and took over his work among male lepers. At a time when little could be done for those suffering from this terrible disease, Marianne Cope showed the highest love, courage and enthusiasm. She is a shining and energetic example of the best of the tradition of Catholic nursing sisters and of the spirit of her beloved Saint Francis. 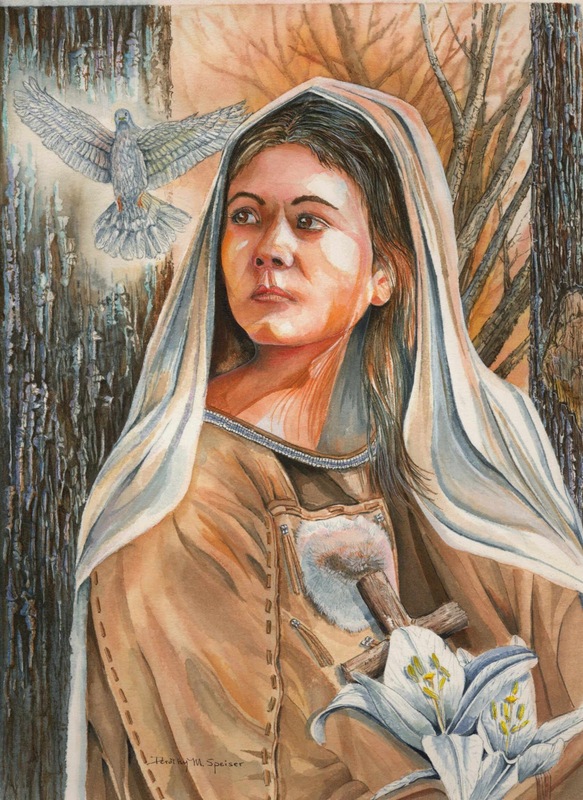 Kateri Tekakwitha was born in today’s New York state in 1656 to a Mohawk father and a Christian Algonquin mother who gave to her a sense of the living God. She was baptized at twenty years of age and, to escape persecution, she took refuge in Saint Francis Xavier Mission near Montreal. There she worked, faithful to the traditions of her people, although renouncing their religious convictions until her death at the age of twenty-four. Leading a simple life, Kateri remained faithful to her love for Jesus, to prayer and to daily Mass. Her greatest wish was to know and to do what pleased God. She lived a life radiant with faith and purity. Kateri impresses us by the action of grace in her life in spite of the absence of external help and by the courage of her vocation, so unusual in her culture. In her, faith and culture enrich each other! May her example help us to live where we are, loving Jesus without denying who we are. Saint Kateri, Protectress of Canada and the first native American saint, we entrust to you the renewal of the faith in the first nations and in all of North America! May God bless the first nations! 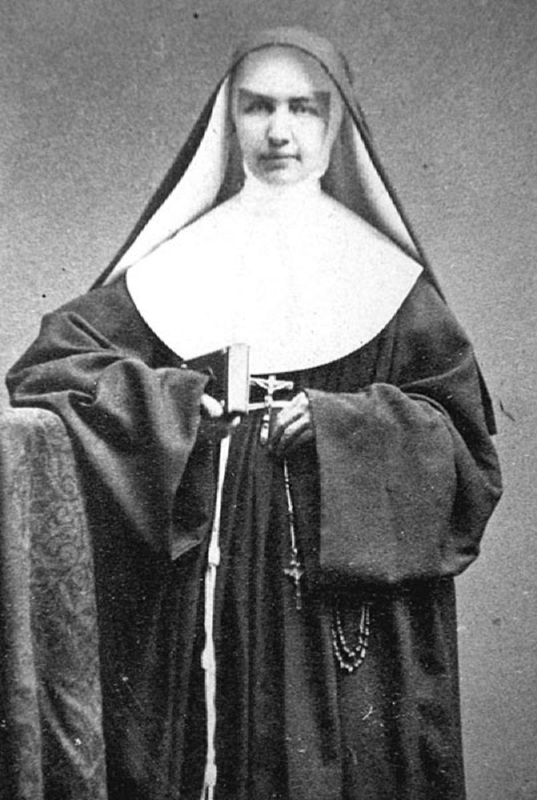 Anna Schaeffer, from Mindelstetten, as a young woman wished to enter a missionary order. She came from a poor background so, in order to earn the dowry needed for acceptance into the cloister, she worked as a maid. One day she suffered a terrible accident and received incurable burns on her legs which forced her to be bed-ridden for the rest of her life. So her sick-bed became her cloister cell and her suffering a missionary service. She struggled for a time to accept her fate, but then understood her situation as a loving call from the crucified One to follow him. Strengthened by daily communion, she became an untiring intercessor in prayer and a mirror of God’s love for the many who sought her counsel. May her apostolate of prayer and suffering, of sacrifice and expiation, be a shining example for believers in her homeland, and may her intercession strengthen the Christian hospice movement in its beneficial activity. Dear brothers and sisters, these new saints, different in origin, language, nationality and social condition, are united among themselves and with the whole People of God in the mystery of salvation of Christ the Redeemer. With them, we too, together with the Synod Fathers from all parts of the world, proclaim to the Lord in the words of the psalm that he “is our help and our shield” and we invoke him saying, “may your love be upon us, O Lord, as we place all our hope in you” (Ps 32:20.22). May the witness of these new saints, and their lives generously spent for love of Christ, speak today to the whole Church, and may their intercession strengthen and sustain her in her mission to proclaim the Gospel to the whole world.